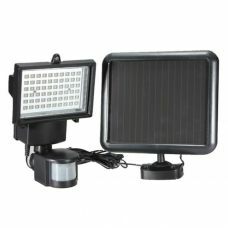 Universal indoor and outdoor 10 LED Solar powered shed light with double heads and detached Solar Panel is an advanced lighting device with multiple features. It is entirely operated by solar energy and able to perform up to 6 hours when fully charged. 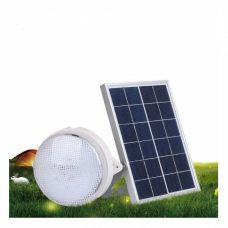 The shed light is designed for outdoor use and that does not require any additional electric wires or other sources of energy that. However, the solar panel is detached from the light body to provide flexibility in running the light. 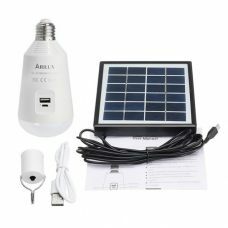 It is convenient for areas that do not have sufficient sunlight to recharge the battery. The body can be installed separately to a ceiling or a wall away from the solar panel that can be placed under direct sun. The product equipped with manual pull cord switch, so you get the light when you need it. 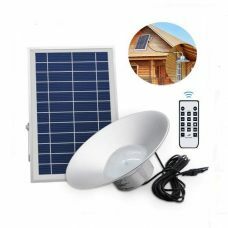 The universal shed light has energy-efficient solar panel that absorbs the sunlight during the day and converts it into the energy which stores at rechargeable Li-Ion battery to power the light up when needed. Compact double head LED Shed Light is easy to install, operate and maintain. The light provides suitable illumination across a wide area and is perfect to maintain lighting in a shed, patio, veranda and garage. The solar panel is easy to put up. Simply attach the base of the unit to any surface that is facing the sun with just 2 screws. 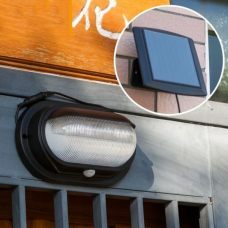 Connect it via a waterproof connection to the lighting units that can be fixed inside a shed or a summerhouse. - Detachable Solar Panel design with an extension cord to provide enough sunlight even at locations covered by shade. 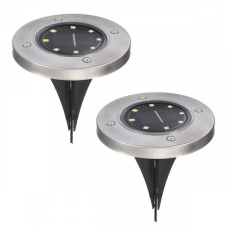 - Long-lasting LED technology up to 100 000 hours of lighting. - Up to 6 hours of performance on fully charged battery. - Suitable for indoor and outdoor use. Waterproof and heatproof: enhanced water and weather resistance. - On/off pull cord on each light unit. - Easy to install, setup and operate. Can be fixed to almost any surface including bricks, stucco, wood, metal, etc. Ideal for: can be widely used for lighting up areas around a garage, basement, fence, patios, garden, yard, roof, stairway, driveways and other indoor and outdoor places. 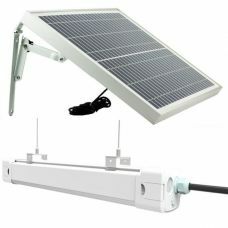 A detachable solar panel allows using the sensor LED light in shade areas, under the roof and even indoor including any sheds, garages or stables etc. For whom: for someone who is looking for a smart and efficient way organise and maintain lighting around or inside of a property in a complex environment, for example, due to limited direct sunlight in a particular area or corner. - It is recommended to place the product under the sun for recharging even it is not being used to prevent from a dead battery and maximise its life. Got it for my back room that does not have enough light. 5 min to set up. Another 15 min to attach the solar panel outside of the house. Nice and simple. The lights are nice and compact. Cables can be longer/taller and the lighting is quite dim (not bright enough)! But it is definitely good enough for dark night - it won’t blind your eyes! Good light for a right purpose! Got it for outside daughter’s house. Works great. Good price, have not seen anything like that in Bunnings.